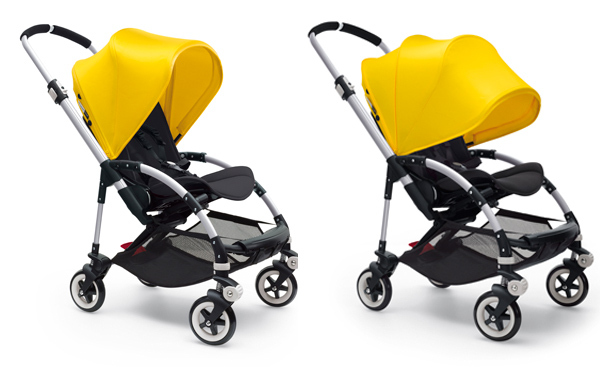 Bugaboo reveals the new look Bugaboo Bee3 stroller now with a bassinet and new colours! 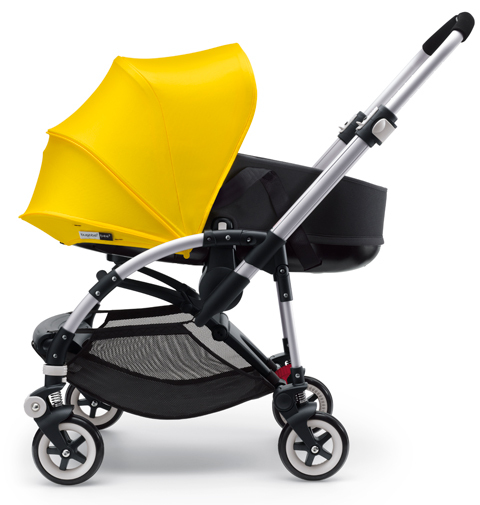 Pram fans, want the buzz on the latest and greatest Bugaboo Bee incarnation – the Bee3? Of course you do… and we’ve got it all right here for you! Click through to see what Bugaboo have done with the latest release of their brilliant and much-loved urban stroller. In a first for the Bee – and in news that’s sure to wrest whoops of delight from so many of you – this new generation Bee3 stroller will finally come with a bassinet. We know it’s one of the things so many have you have wished for and we’re glad to report Bugaboo has clearly been listening. The fact that this bassinet looks good on the newly designed Bee3 goes without saying, but Bugaboo has made sure that it’s practical too. What that means for you is that it’s lightweight, it lifts off the stroller in two rather simple clicks and it can do double-duty as a stand-alone bassinet as well when you want to keep baby close. That’s three very big ticks from us. 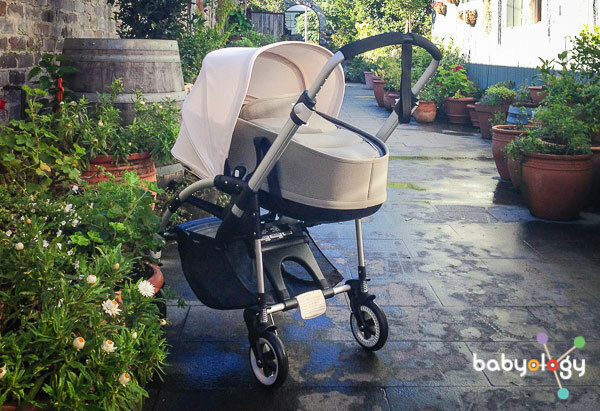 But the bassinet is not the only way that Bugaboo have improved this rather popular ride. They’ve also added a much bigger underseat basket so that you can fit much, much more inside when you’re on the go. That’s more room for your shopping or more room for your baby bits and pieces. Because, let’s face it, who has ever travelled light with a newborn? Not us, that’s for sure. And if you’re not yet sloping sideways in an unstoppable Bee3-induced swoon, get this. 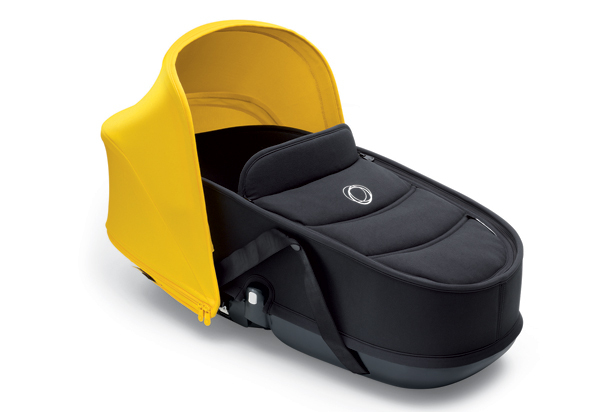 The stroller has an unfathomable 64 different colour combinations so your Bee will well and truly be your own. New colours for the sun canopy include black, grey melange, dark khaki, red, soft pink, ice blue, off white and bright yellow. Chose from red, dark khaki, grey melange or black for the seat fabric and the same five shades again for the bassinet. Colours are only the half of it. The fabric itself is different too – softer and more breathable so that it’s more comfortable with better ventilation for baby. It’s also water repellent, so little sippy cups spills or rain drops from unexpected showers will just bounce off, while paradoxically being washable to boot. In a plus for tough Aussie summers, the Bee3 canopy fabric kicks in effective UPF50+ protection from the sun while also being extendable for extra versatility, whether it’s wind or sun that you need to shield baby from. Take a look at the picture below to see just how much it extends. The seat too has its own improved features – it can extend, reverse and recline – while the entire pram folds away into its most compact guise so far. The wheels and chassis have been tweaked and the harness redesigned too, so you can bet this is the best Bee yet. Now for the nitty gritty on pricing and availability. 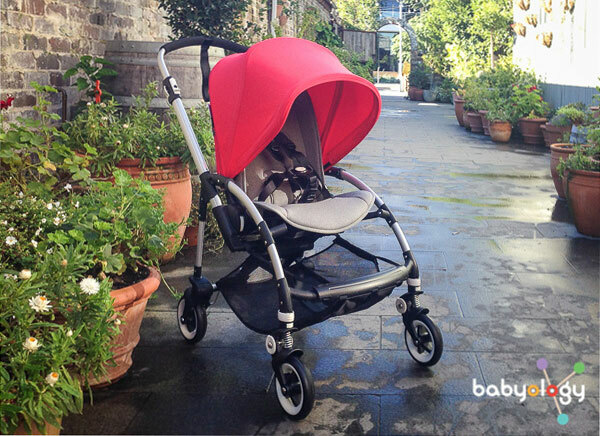 The Bugaboo Bee3 will cost $1279 with bassinet or $949 without. An All Black version sans bassinet will retail for $1049. The new bassinet will also be available to purchase separately for people with earlier model Bees for $330. 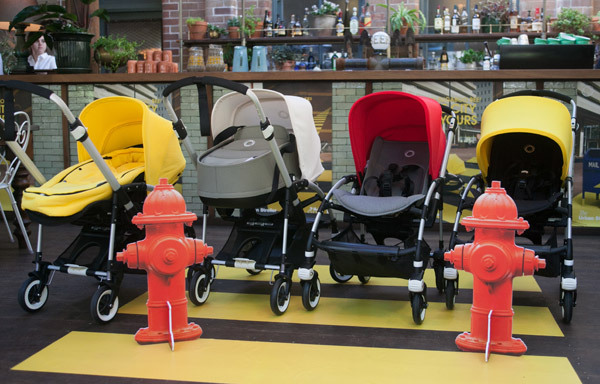 The Bugaboo Bee3 will be in stores worldwide from September 1. 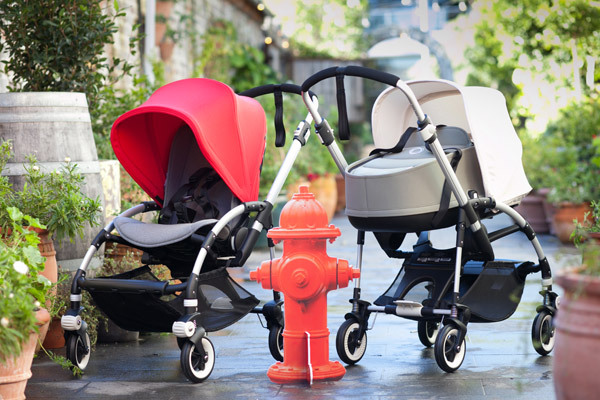 A list of retailers near you can be found over at Bugaboo. Until then, enjoy some more exclusive Babyology images of the new Bee3 below, then feel free to browse our archives for more Bugaboo goodness.